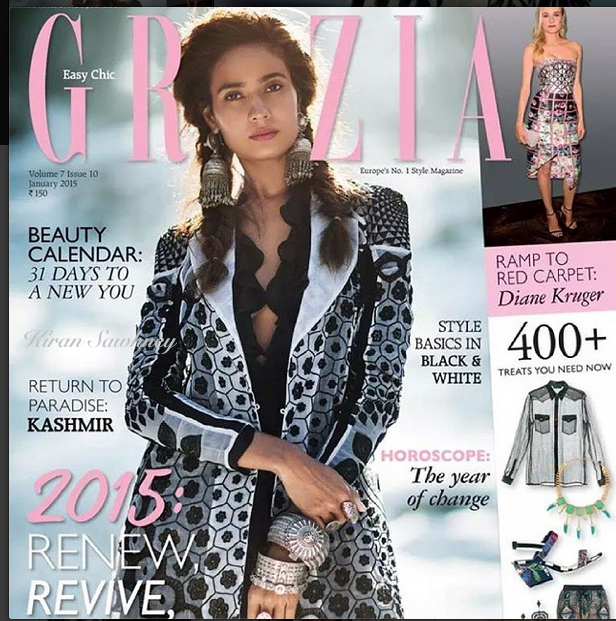 Rikee is on the cover of Grazia. She wears Michael Kors ruffled dress with Rahul Mishra's woven kacket and jewelry from Amrapali and Silverline. We feel there is too much of jewelry and hence too much clutter on the cover. While we love Rahul Mishra's jacket, we do not like the cover much.